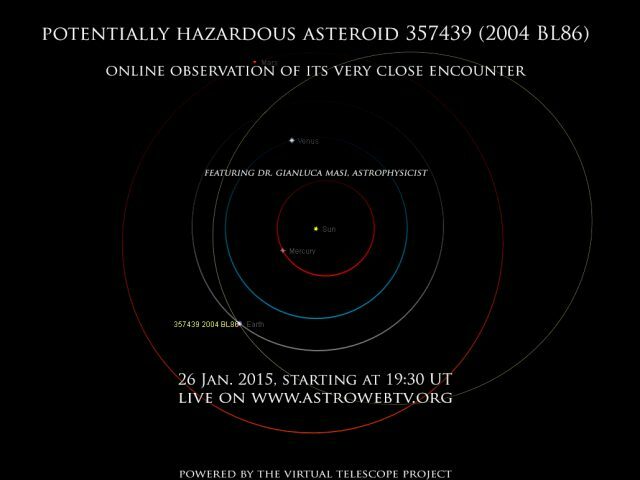 Next 26 Jan. 2015, at 16:20 UT, the 650-meters large potentially hazardous asteroid (PHA) asteroid (357439) – 2004 BL86 will made a very close approach with the Earth, reaching a minimum distance of 1.1 millions of km, that is 3.1 lunar distances. The body will be as bright as mag 9.5, so easily accessible with small telescopes/binoculars. 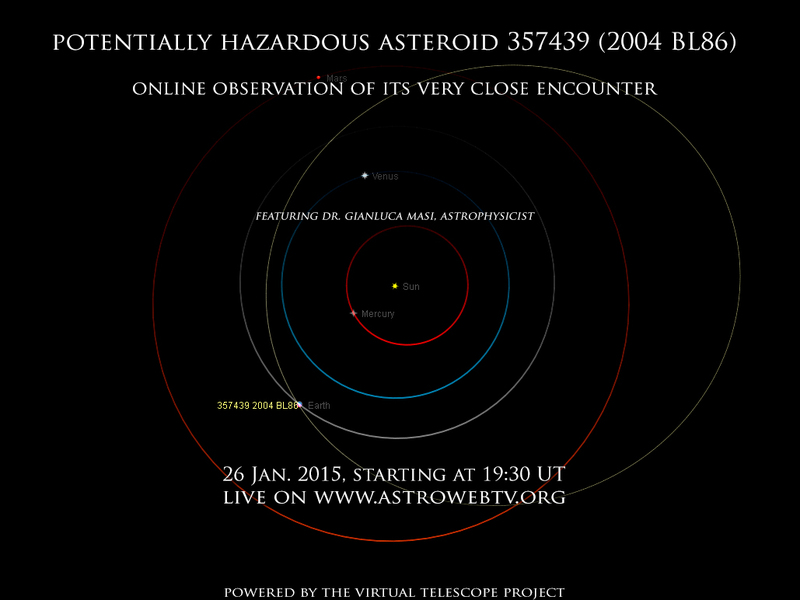 Of course, this is a very safe distance, but still a very spectacular circumstance, so the Virtual Telescope Project will offer a live, online event sharing real-time images of (357439) – 2004 BL86 with live commentary by our scientific staff. The online, free session is scheduled for 26 Jan. 2015, starting at 19:30 UT. At that time, the object will be at its maximum brightness, assuring a spectacular sight.